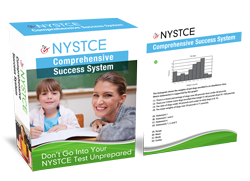 As a future New York State certified teacher, you know the NYSTCE Math Test is divided into three challenging categories. Yet did you know that the NYSTCE Mathematics exam is often cited by previous exam takers as the most difficult assessment of the New York State Teacher Certification Examinations? Before you begin your NYSTCE practice and study, read the all certification requirements listed at the official website. When you’re 100% clear on what content knowledge you must master, it’s time to learn how to defend yourself in the test center against common pitfalls. The NYSTCE Math exam is a hot bed for difficult questions that have the ability to sink your test score. That’s because the makers of the Math love to insert trick answers into the mix! Luckily for you, incorrect answers on this New York State Teacher Certification Examination typically fall within a few specific categories. Learn how to understand how to identify these wrong answers, and you’ll not only ace your teaching exam – you’ll finally get your hands on your New York teacher certification. Get ready to easily spot incorrect answers and net yourself some more valuable test points. And be sure to incorporate the following knowledge in your test preparation and when taking practice tests. An answer that falls into the “Contradiction Category” will state a viewpoint that’s in complete contrast with the passage’s presentation. These are usually the easiest incorrect answers to identify and can save you some much-needed time when you’re not quite sure of the answer. These are perhaps the trickiest answers to fall for in exams like the NYSTCE EAS or this one is as they tend to support what’s being said in a particular passage. However, an answer with an incorrect scope will typically be a supporting detail of the overall argument, but not the main thrust of the argument itself. Just because a statement is true does not mean that it addresses the theme of the passage. Keep an eye out for these trick answers, as they’re where you’ll most likely to make a test taking mistake! These incorrect answers are lifesavers on your NYSTCE Math testing date, as they’re easy to identify. These answers contain words like “all”, “none”, “everyone” and “no one.” Even if an answer with one of these keywords seems correct, it’s important to eliminate it as a correct answer, since generalizations are typically proven incorrect. Distorted answers on this standardized test for educators are similar to contradictory answers. They present information that’s at odds with the author’s intentions. For example, an answer that gives a different meaning than what the author meant is referred to as a distorted answer. Make sure that you practice finding these trick questions in your NYSTCE Math CST study guide before finding them on the actual exam! Don’t let this teacher license examination stand between you and a classroom of your very own. Get results-driven test prep strategies and test taking help you need for your passing test score.